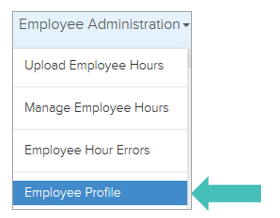 In this user guide, learn how to review, manage and update Employee Profiles. Employee Profile is designed to provide you with the ability to view Employee Hours, Eligibility Status and Basic Demographic Information associated with each employee. 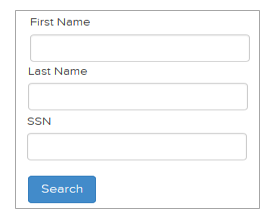 Enter the First Name, Last Name and/or complete SSN and click Search. Search Results will return employee(s) with the identified criteria. Click Profile for the employee that you wish to view. TIP: The IRS Form Notifications will show how each time that the employee was electronically sent their 1095 form (1095-B or 1095-C will depend on the company size) while IRS Forms Download will show the most recent time the employee accessed their form; if it is blank that means the employee never accessed their form. Companies that are solely using ACAManager and not managing their data via bC4 will enter their employee information using the Upload Employee Information page. 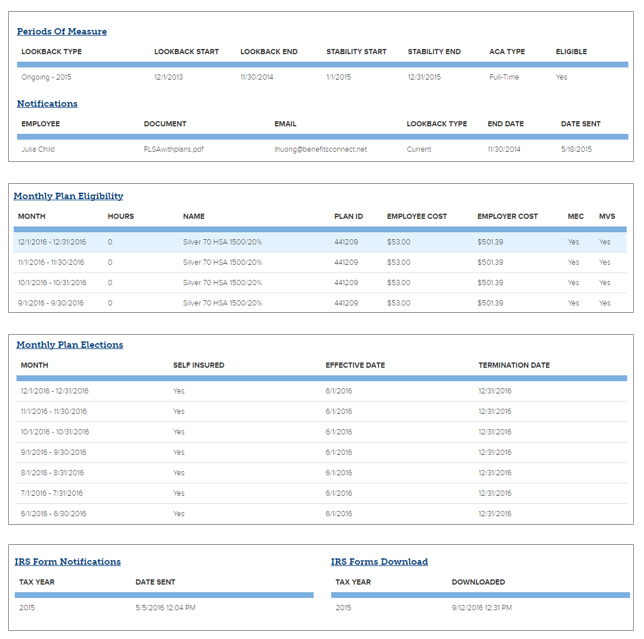 Click Employee Administration and select Upload Employee Information. Download the Sample Template. The system provides you with two file types (Excel Workbook or Excel 97-2003). 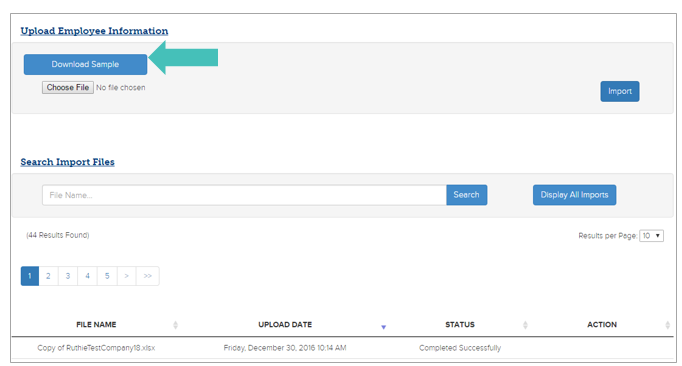 The file name, upload date, and status will appear at the bottom of the page. If there are any errors, Get Errors will appear under action. TIP: benefitsCONNECT users can utilize this upload to override existing bC4 data and force an employee’s 1095-C form to reflect as they would like without updating bC4; however, once they have done this there is no way to restore what is in bC4.